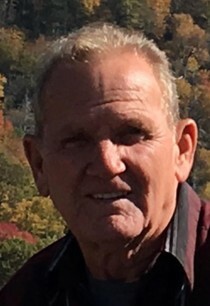 Michael Poe, 71, of Providence, passed away on Monday November 26, 2018 surrounded by family. He is the son of the late Ira Dillon & Maggie (Scott) Poe. He is survived by his loving wife Theresa (Fulcher) Poe, daughters; Cheresa (Tommy) Chapple & Simblee (Robert) Allen, brothers; James “Rooster” Poe & Jesse Wayne Stone, sisters; Violet Brooks, Ruth Baty, & Hertra Williams, 8 grandchildren and 10 great grandchildren. He was preceded in death by a daughter Michelle Scott, brothers; Ronnie Poe, Earl Poe, Jim Poe, & James Poe, sisters; Mary Jo Phillips & Sue Cline. He was a faithful member of Zion Apostolic Church. Visitation will be from 9am to 2pm on Wednesday November 28, 2018 with Mitchell Ferguson, Heath Ferguson, & Robert Allen conducting the services at 2 pm in the chapel of Jones Kirby Funeral Home with burial to follow in Green Grove Cemetery. In Lieu of flowers donations can be made to the Zion Apostolic Church. www.Joneskirby.com for online guestbook and more.